Commerce Minister Tofail Ahmed on Thursday said the government will take necessary initiative to sign free trade agreement (FTA) with Vietnam and other potential countries. He also said Bangladesh is moving faster in terms of trade and commerce comparing to other Saarc and South Asian countries. 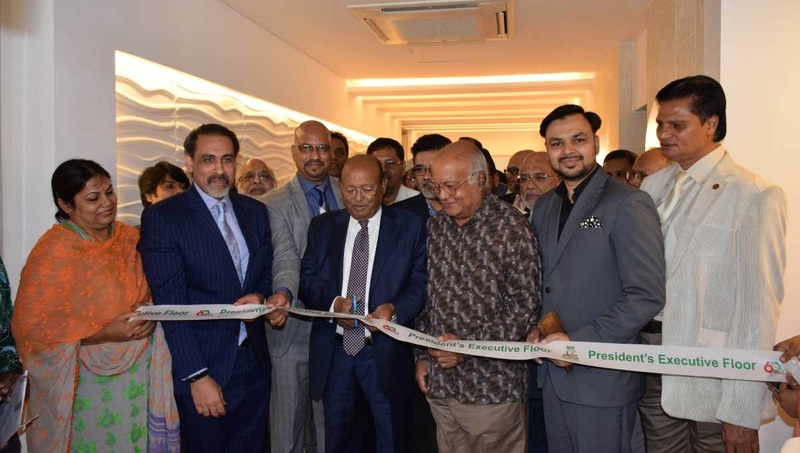 The Commerce Minister made the remarks while officially inaugurating president's executive floor of Dhaka Chamber of Commerce and Industry (DCCI) on the occasion of celebrating 60 years of DCCI at its own building in Motijheel. Tofail said recently the government has raised the minimum monthly wage for the garment workers to Tk. 8,000 from the existing Tk 5,300 with effect from December next. On this issue, the Minister told the businessmen not to be worried about it as the government is thinking to reduce cost of doing business by slashing source tax and taking other initiatives. He said for doing business in congenial atmosphere is a must and now is the best time to invest more in industries. DCCI President Abul Kasem Khan said that due to having long term policy planning our economy is experiencing a developing trend which is a good sign for attracting foreign direct investment. He said DCCI is going to hold an international conference titled "Destination Bangladesh" in the next month to expose Bangladesh's strength of attracting investments. He also said that in order to attract investment in the country we have to invest in infrastructure development. DCCI former Presidents Rashed Maksud Khan, Matiur Rahman, ASM Quasem, Aftabul Islam, Asif Ibrahim, Senior Vice President Kamrul Islam, FCA, Directors Engr. Akber Hakim, Hossain A Sikder, Imran Ahmed, Mohammad Basiruddin, Salim Akhter Khan, SM Zillur Rahman, former Senior Vice Presidents and former vice presidents were also present.